Global growth in 2018-2019 is expected to remain firm and similar to 2017, however, the pace of growth is not as strong and balanced compared to the earlier projections made in July. In the third quarter of this year, positive outcomes were noted for Fiji’s major trading partner economies with the exception of China. The United States (US), Australia, New Zealand and Indian economies continued with solid economic performances supported by strong private consumption activity, external demand, higher investment and favourable labour market conditions. The Chinese economy however decelerated as a result of the US trade sanctions. Going forward, downside risks, particularly from tighter financial conditions, higher trade costs and geopolitical tensions have the potential to derail global growth. Movements in global commodity prices were mixed in October as crude oil and food prices declined while gold and sugar prices rose. Increased oil supply from Saudi Arabia and Libya placed downward pressure on oil prices while the fall in food prices was underpinned by lower prices for dairy, meat and vegetable oil. The rise in gold and sugar prices was mainly driven by increased demand. The Fijian economy is on track to register its ninth consecutive year of economic expansion in 2018. Latest sectoral outcomes have been mixed but generally positive so far in the year. Visitor arrivals increased by 4.0 per cent cumulative to October led by higher arrivals from New Zealand, US, Japan and Continental Europe. A total of 79,077 visitors came to Fiji in October – a record high for the months of October. In addition, mahogany, sawn timber and woodchip production increased significantly while electricity generation was also higher (+0.7 per cent) in the same period. On the downside, gold production fell (-4.7 per cent) in the year to October while cane (-3.9per cent) and sugar (-14.7per cent) outputs noted contractions for the week ending 26 November. Domestic demand has remained firm as shown by the latest partial indicators. New consumption lending (+16.6per cent) and registrations of non-Government new (+12.4 per cent) and second-hand (+13.9 per cent) vehicles increased in the year to October. On the same note, net VAT collections increased by 7.0 per cent cumulative to the third quarter of this year. Partial indicators for investment activity picked over the review period. New lending for investment purposes picked up pace from September and grew by 1.9 per cent in the year to October, after consecutive declines from March to August this year, underpinned by increased lending to the real estate sector (+22.5per cent). On the other hand, domestic cement production (-15.8per cent) and sales (-27.2 per cent) were lower in the year to October attributed to transportation setbacks. Nevertheless, the value of work put-in-place increased by an annual 11.4 per cent, cumulative to June, underpinned by construction activities in both private and public sectors. Employment prospects as indicated by the RBF’s Job Advertisement Survey results remain firm. In the year to October, the total number of vacant jobs advertised increased by an annual 9.3 per cent led by higher recruitment intentions in the manufacturing; community, social & personal services; transport, storage & communications; electricity & water; construction and mining & quarrying sectors. Financial conditions remained supportive of the growth momentum. Net domestic credit grew by 10.8 per cent in October mainly due to the expansion in private sector credit (+8.7 per cent). Lending rates generally remained low while deposit rates rose in October. September). In contrast, the commercial banks’ outstanding time deposit rate rose to 3.52 per cent (from 3.47 per cent in September) and new time deposit rate edged-up to 3.66 per cent (from 3.56 per cent in September) in October. Liquidity in the banking system (measured by commercial banks’ demand deposits) rose in October by 9.2 per cent to FJ$456.6 million largelydue to an increase in foreign reserves (+$9.9m). As at November 29, overall liquidity within the banking system stood at $387.2 million. Over the month of October, the Fiji dollar strengthened against the Euro (+1.9 per cent), Australian (+0.7 per cent) and New Zealand (+0.2 per cent) dollars, but weakened against the Japanese Yen (-1.1 per cent) and the US dollar (-0.7 per cent). The Nominal Effective Exchange Rate (NEER)2 index fell marginally over the month (-0.04 per cent) in October, however remains higher (+0.7 per cent) over the year implying a general strengthening of the Fiji dollar. Similarly, the Real Effective Exchange Rate (REER) index fell (-0.2 per cent) over the month indicating a gain in trade competitiveness but was higher over the year (+4.1 per cent) due to higher domestic inflation. The NEER is the sum of the indices of each trading partner country’s currency against the Fiji dollar, adjusted by their respective weights in the basket. This index measures the overall movement of the Fiji dollar against the basket of currencies. An increase in this index indicates a slight appreciation of the Fiji dollar against the basket of currencies and vice versa. The REER index is the sum of each component of the NEER index, adjusted by the relative price differential between Fiji and each of Fiji’s major trading partners. The index measures the competitiveness of the Fiji dollar against the basket of currencies. A decline in the REER index indicates an improvement in Fiji’s international competitiveness. Headline inflation increased to 5.2 percent in October from 4.6 per cent in September underpinned by higher prices for yaqona, vegetables, fuel, alcohol and tobacco. Over the month, consumer prices also increased by 0.6 per cent as prices of fruits and vegetables increased coupled with the impact of the upward revisions of fuel prices in mid-October. 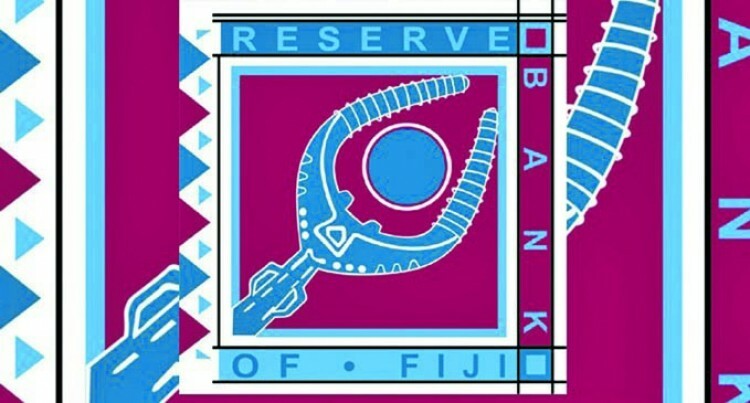 Foreign reserves (RBF Holdings) rose in October to $2,125.9 million, sufficient to cover 4.7 months of retained imports of goods and non-factor services (MORI). As at 30 November, foreign reserves were $2,062.9 million, sufficient to cover 4.5 MORI and are expected to remain at comfortable levels by year-end.